TORONTO - Teknion Corporation today announced the formation of Teknion Studio Group, LLC, near Smithfield, North Carolina, to develop and manufacture collaborative furniture products. Charlie Bell, with over 20 years of experience in the contract furniture industry, will head the operation. The company could bring 75 new jobs to the area. Opening a new manufacturing facility in the United States will ensure that Teknion meets the growing demand for our products, while providing our client base with the best possible service," said David Feldberg, President and CEO. "Collaborative furniture products have become important components in today’s increasingly collaborative ways of work. Teknion Studio Group will operate from a 55,000-square-foot facility that was, until recently, the U.S. head office and manufacturing center of Girsberger Industries Inc., a subsidiary of Girsberger Holding AG, of Switzerland. Among other chair models, Girsberger manufactured in North Carolina the AL3 executive task chair, Connexion task and Topic swivel seating for distribution by Teknion in North America. Teknion will continue to offer these seating products through its new manufacturing facility in North Carolina. Due to the increasingly price competitive U.S. market environment, we have chosen to concentrate our efforts on growing our business in Europe," said Michael Girsberger, CEO of Girsberger Holding AG. 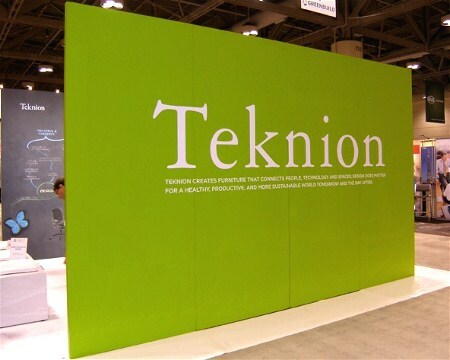 "Teknion has employed management and all employees of our U.S. subsidiary in North Carolina. Thanks to this commitment by Teknion, Girsberger can now strictly focus on the European markets.